The holidays are difficult for everyone. Whether you celebrate Christmas, Hanukkah, Kwanzaa, or another winter holiday, you are kept busy from the close of November through the beginning of January. There are gifts to buy and exchange; holiday parties to plan, hold, and attend; special school events; celebratory meals and treats to be prepared; and a whole lot of decorating. Every parent struggles to get through this time because it is important that they help their children make wonderful memories. This can get stressful when your children are being parented in two homes. 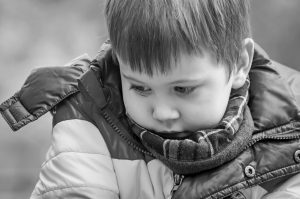 For your children, this can be a time of year that magnifies the feelings that they are trying to manage, especially if this is the first holiday season after your divorce. Their family and the comfort that it provided for them may feel lost. You certainly can’t take away all their sadness or anxiety, but there are ways to celebrate the winter holiday season that can help your children manage those feelings. What you do during this time will affect the perceptions that your child forms about the change in your family. Family problem can also lead to other behavioral, addiction, mental problems. We as parents are responsible to prevent these things to happened before it gets worst to the extent that professional help is needed. It feels more devastating seeing your child entering rehab center to cure certain addictions (Read more about it here www.addictions.com/heroin-addiction-treatment) than to have a civilized talk with your partner to organize your set up that way parents could avoid compromising their children’s feeling. You can’t think about the holidays the way you do with custody and attempt to divide them up between yourself and your ex. You must actively work to maintain a sense of family for the kids. They need the stability that tells them everything will continue and they will be OK. To prioritize your children’s needs, reduce your stress levels, and maintain perspective, follow some of the following tips. This is a time to keep your children very much in the loop. Don’t exclude them from holiday planning or think that avoiding some tough discussions will protect them. It may seem obvious, but you should have a talk with them about the way this holiday season will go. Explain the things that will remain the same and the things that will change. Ask your kids about the holiday elements that mean the most to them; you might be surprised. And, ask about what the hardest parts of this time of year are for them. Watching your children struggle through all of the upheaval and changes is difficult; however, refusing to talk about it makes the situation even harder for them. You know that your children look to you to guide them, and they take as much direction from your words as they do from your behavior. They aren’t the only ones grappling with strong emotions, you are going to have hard time with the holidays as well. As a parent, you will feel like you need to ignore your feelings and tend exclusively to theirs, but that isn’t the case. You need to practice self-care, so that you can care for them. This holiday season, stay connected to your feelings and your needs. When you need extra support or to vent feelings, make sure that you plan appropriate ways to get what you need. This teaches your children that respecting your feelings and caring for yourself matters, and you want them to do that for themselves, right? A lot of parents feel like they need to compensate for the change in their family unit by going into a holiday frenzy. They want to make all of the plans, buy all of the gifts, and go to all of the events, maybe you don’t even have to go and buy something, you can do it yourself with a laser cutter LS-2436 and made something beautiful. But, it is better for your family if you focus on what matters most: quality time with your kids. This is a time to slow down and limit the number of obligations your face. There are people who will be upset when you don’t come to their party or make cookies for their bake sale, but that’s alright. You are doing the right thing by your children. Instead of overcommitting to everyone else, use your energy to make your relationships with your children stronger. This will help them to feel reassured and optimistic about the future of your family. A lot of divorced or separated parents think that they need to spend the holidays together for the sake of the children. The entire family should still go to grandma’s house and open presents together and get pictures with Santa. For some families, this can be achieved with minimal stress. But, this togetherness is only beneficial if you and your ex can do it without tension. You want the needs of your children to guide your actions, but you also want to avoid or minimize any conflicts you will face with your ex. Ultimately, having a relaxing holiday will give your children the best outcomes. Your family is different and your holidays will be different as a result, but different isn’t a bad thing. You can celebrate many of your old traditions while you make fun new ones. About the author: Susan Mathers is a writer, photographer, and divorced mom of three wonderful children. She writes primarily for parenting publications, which she feels are doing important work for the modern family. She and her children live in Colorado Springs, where they spend every winter holiday skiing at Eldora Mountain Resort.